With a gorgeous summer upon us it's time to switch up the color scheme with a baby blue herringbone pocket square that is part of our essentials package and a complimenting gold power tie. 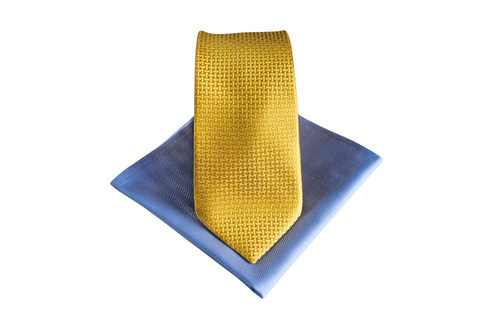 UPDATE: Our gold power tie is sold out! Stay tuned for our Fall/Winter special coming soon! Paired together this product is $89 but for this season only we have it for $36 off! The baby blue herringbone pocket square can be matched with most of our ties and the gold tie can be worn with the splash of baby blue for color or with our staple white pocket square. Whatever it is you choose to wear it with, don't miss out on our spectacular deal!